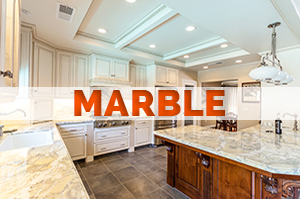 Affordable Granite and Quartz Countertops in Glen Burnie, Maryland. Glen Burnie is a suburban area found inside of Baltimore, Maryland. It is the home to over 67,600 people (as of 2010). You can find this community located in Anne Arundel County. Back in 1812, Brooklyn Park was designated as the county seat by district attorney Elias Glenn. This property, which was owned by him, was named Glennsburne. Later on, the area was renamed Glennsbourne Farm. Then eventually became Glenburnie. The names kept changing as the descendants of his received ownership of the property. Other names shown on record include Myrtle and Tracy’s Station, which was named after a local postmaster named Samuel Sewell Tracey. Later 1854, the grandson of Elias Glenn, William Wilkins Glenn, incorporated the Curtis Creek Mining, Furnace and Manufacturing Company. This was developed on the property of the family. It flourished greatly in the 19th century, allowing him to buy several thousand acres in the north of Anne Arundel County. The business affairs of the family was passed over to his brother, son and nephew after passing away. In 1888, Glenburnie became a state subdivision officially. There are various buildings here that still stand today, like the St. Alban’s Episcopal, which is the oldest church built in 1904. There’s also the First Avenue Elementary, which was built in 1899. You can find a variety of things to do indoors and outdoors in Glen Burnie, Maryland. This includes enjoying art exhibits at The Observatory Gallery at BWI Marshall. Or seeing beautiful fish at North Arundel Aquatic Center. To get a better lay of the land, you can head over to Thomas A. Dixon Observation Area to see it from high up. For an evening of fun with family and friends, there’s the Horizon Cinemas Sun Valley Plaza, Franks Den, All American Sports Bar and Wicked Woods. There’s plenty for visitors and residents to see and do here in Glen Burnie, MD. The homeowner of a single-family house in Glen Burnie contacted KNC Granite about updating the counters in her home. She wasn’t sure which stones she wanted, so she inquired about the differences. Our experts gladly gave her information about the different types of stones and their pros and cons, based on their intended use. She decided to go for quartz in the kitchen because of its great durability and ease of maintenance, and granite inside of the master bathroom and guest bathroom. The contractors at KNC Granite went to the home to provide an in-depth estimate, based on the calculations and measurements taken by our professionals. All fabrication is performed by our contractors to ensure the slabs are cut appropriately. The end product of our work was aesthetically appeasing to our customer. She was very delighted with the outcome of the granite and quartz installations. So much so, she decided to rehire us right away to have tile slabs cut for the backsplash in the kitchen and a wall of tile in the bathrooms. She noted that our speed and accuracy were great, especially since the last contractor did a botched job on her countertops. The fabrication of the stones were done by our experts. It was done meticulously to meet the specifications of the customers kitchen and bathroom counters and vanities. We brought the slabs to the home to begin working on the project right away. First, we removed all of the counters from the kitchen, then proceeded to remove the counters from the vanities in the two full bathrooms. Then we quickly installed the quartz stone inside of the large kitchen. There was a separate room with a pantry and additional counters, which was also being updated. The entire project was quick and seamless, taking only two days to complete. The additional work requested by the customer was done the following week. The end result was astonishing. There’s a reason so many homeowners are choosing to have their properties updated with beautiful natural and engineered stones. For one, it can help boost your property’s value. It also makes it easier to get prospects to consider purchasing your home. Adding stone counters, fireplace surrounds, backsplashes and floors to your home is an excellent way to spruce it up. The attractive look of our quality stones are unsurpassed by competitors. The rates we offer are also unbeatable, especially with the quality of our installations. The stones we have available to our customers in and around Glen Burnie include granite, marble and stone. Some of the brands we carry include Caesarstone, Silestone, Cambria and Zodiaq. We have thousands of slab options available and hundreds of color options to choose from. Our customers are always delighted to see our grand selection of products, which makes it easier for them to be creative with their renovation. Our contractors are always meticulous with their installations to ensure a satisfactory outcome. For decades, we’ve been fabricating and installing stones into family homes and businesses. All of our professionals are licensed, bonded and insured. The prices we offer are designed into packages for our customers’ choosing. This includes the Silver package at $1,399, the Gold package at $1,699 and the Diamond package at $1,899. The Silver package comes with up to 30 sq ft of installation, the Gold comes with 40 sq ft and the Diamond with up to 50 sq ft. All of the packages come with freebies, like in-home estimates, fabrication, installation, sealer application and a sink. If you feel it’s time to have your home renovated with gorgeous stone slabs, then give KNC Granite a call. We will provide you with a free no-obligation in-home estimate, so call today to schedule an appointment!